This is one of my favorite sayings that sums up the way you should tackle all initiatives in your business. Yesterday I had a consult call with a two-unit chain on the growth path. They were doing a nice six figures in catering. Considering they were only using on-site signs and flyers to promote it, they’re doing well. They wanted some ideas about how to grow their catering sales, and there was a lot more they could be doing. A quick review of their website and menu revealed they needed at bare minimum a catering tab on their website, so visitors could figure out they catered. Their catering menu was all bulk pricing, so I suggested they add some per-person packages. You can’t just stick your proverbial tip into catering. You need to take your prenatal vitamins, get a few doses of fertility drugs and work like hell to make a catering profit center baby. Yes. You can build catering sales without going after them, but you won’t even scratch the surface. Without proactively going after catering business, you are limited to the foot traffic in your restaurant. If you are doing three million dollars a year in dining room sales compared to the sandwich shop down the road doing three hundred grand, 4 walls marketing will get ten times the catering business. The more eyeballs you have and mouths you feed, the more people fall in love with your food and will consider you for catering. This is possible when you're doing a great job of promoting it via 4 walls marketing. If you want a brood of “catering kids”, you had better decide to get pregnant. All of my successful catering clients go for it! 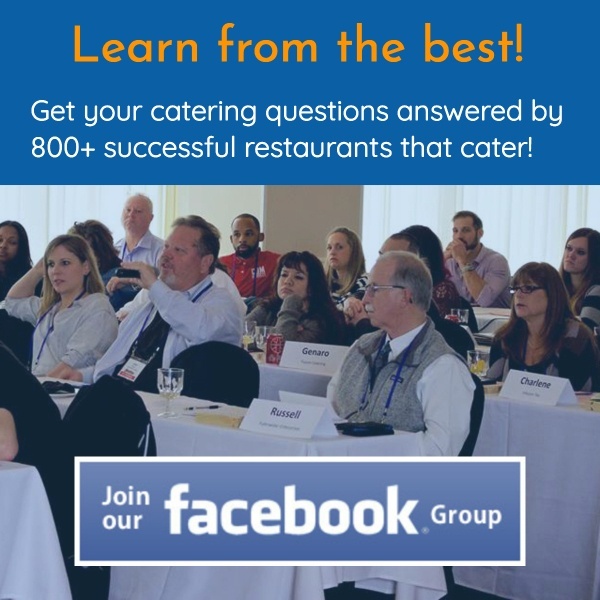 They proactively sell catering, have great websites, use 4 walls marketing, buy Google AdWords and Facebook Ads, attend trade shows and bridal shows, network through the Chamber, etc. They drink the catering Kool-Aid. You must be a student of the game. Whether you use the selling systems we provide at Restaurant Catering Systems or develop your own, you must have a plan that you work day in and day out. Seventy percent of corporate drop-off catering will be from repeat business. 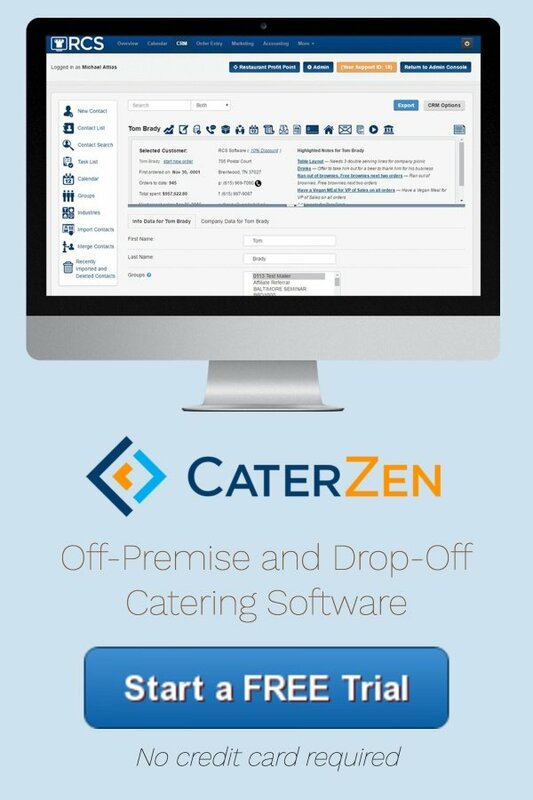 You need software and systems to run the business of catering: order taking, proposal creation, client records, kitchen production, delivery and follow up marketing. Whether you’re doing one catering job a day or ten, you need to run your business like a well-oiled machine. Your clients are professionals and expect to work with professionals. If you have been on the fence about diving into catering, now is the time to “knock yourself up”. Go for it! 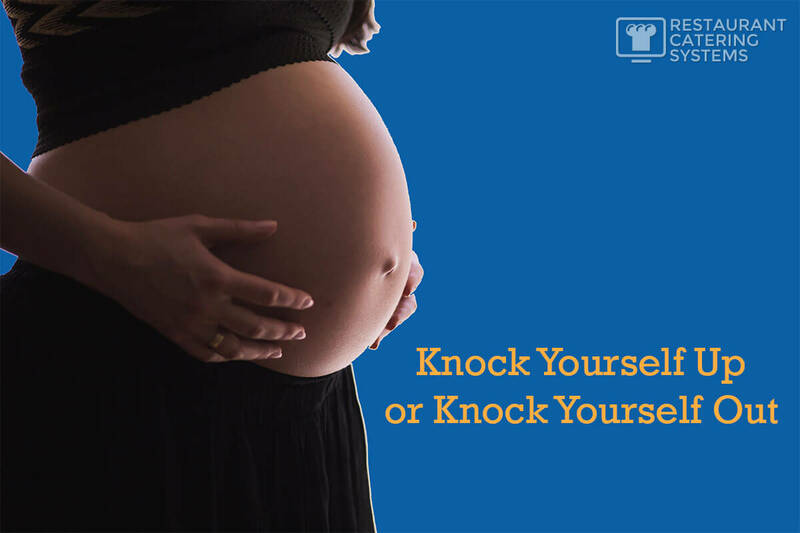 Throw yourself a baby shower and start growing your catering sales. If not, stop fooling yourself and knock yourself out of the catering game.